“Most people say they’re bipartisan. I can show that I am,” said Republican candidate Cheri Helt, talking over the clanging of silverware at a restaurant she co-owns in Bend. “It’s funny, because to me this is a quiet space,” she laughed. 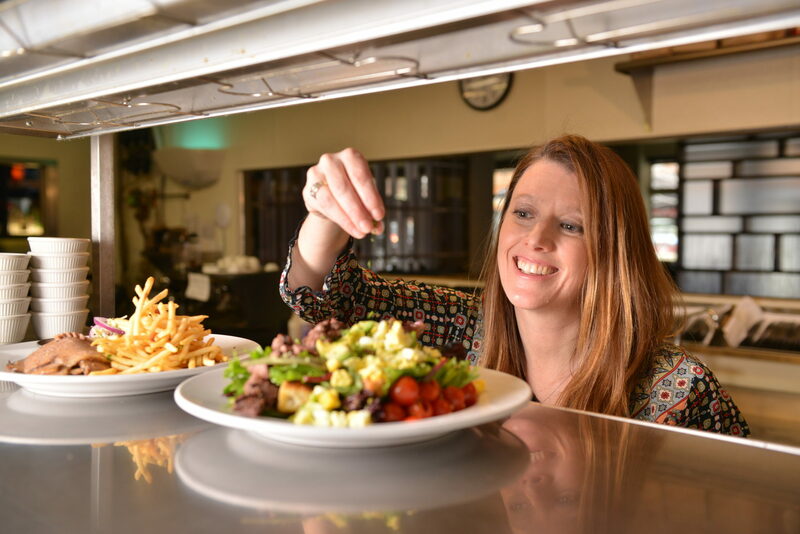 Helt has three kids, works nights in her family’s two restaurants and is on the Bend-La Pine school board, one of the fastest growing districts in the state. “I’ve had the luxury of appointing four people to the school board: Two have been Democrats, and two have been Republicans,” she said. Helt’s voter records show she’s also personally crossed party lines. She switched registration to the Democratic party in 2008, then back to Republican in 2013, and she said she’s still not a straight-ticket voter. “I did not vote for President Trump. And I am a Republican, but … I’m very independent-minded,” she said. Helt’s platform for higher office revolves around one goal: improve education in the state and fund schools first. That’s because Democratic candidate Nathan Boddie lost lots of support after allegations of offensive speech and sexual harassment surfaced against him over the summer. After pulling their endorsement of Boddie, prominent Democrats such as Oregon Gov. Kate Brown and U.S. Sen. Jeff Merkley quickly threw weight behind a third-party candidate, Amanda La Bell of the Working Families Party. But then, La Bell dropped out of the race amid allegations she lied in the voter pamphlet and mishandled funds for a nonprofit diaper bank she oversaw. Her name is still on the ballot. Political scientist Judy Stiegler shook her head retelling these turns. Stiegler is a Democrat who used to represent Bend’s district in the Legislature. “This is where voters could just go, ‘Yeah, see? Look, politics!’ And throw their hands up, and walk away, and say, ‘It doesn’t do us any good,’” Stiegler said. She now teaches politics and government at Oregon State University-Cascades, and she worries the drama in this race will stoke cynicism about the democratic process. “I tell my students: ‘You have to care, even in the middle of all this kind of stuff that comes down, you can’t just take the easy way out,’” Stiegler said. She said the easy way out is pretending like your vote doesn’t matter. Read the original article from Oregon Public Broadcasting here.